Wine and Music creates a great combination that harmonizes well to create beautiful guitar artwork on music glasses.There are so many music fans all over the world and there is no better combination than listening to music with a glass of wine. 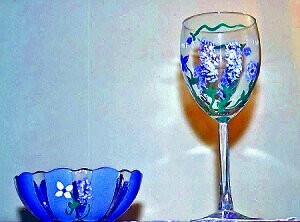 Why not give that music lover a perfect gift than hand painted wine glasses with guitars and notes of music. Clearly Susan's wine glass music glasses feature musical notes on a staff along side a classical guitar. Of course, we love to take special requests and we can change the guitar to whatever make and model, electrical, flamingo, classical, etc. 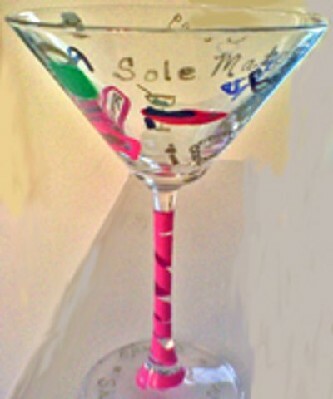 We can custom paint a glass guitar to whatever color scheme or theme that you like. We also also paint guitar coffee mugs that will make your mornings full of song.